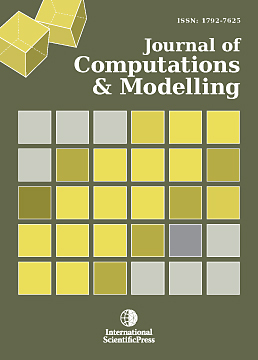 Journal of Computations and Modelling is a referred journal devoted to the publication of original research papers and reviews articles in all aspects of the theory and practice of computations, informatics and modelling systems. Subject areas covered by the journal include: numerical methods for linear and nonlinear systems, spectral analysis, control systems, distributed systems, stochastic processes, detection and estimation, filtering, signal processing systems, theory of computing, communication and information theory, network design and communication, programming languages, logic programming, discrete mathematics in relation to computer science and graph theory, Non-numerical algorithms, parallel algorithms, distributed algorithms, randomized algorithms, approximation algorithms, computing methodologies and applications, symbolic computation and algebraic computation, software developments. In addition to presenting research papers of a computational nature focusing on new algorithms, their analysis and numerical results.